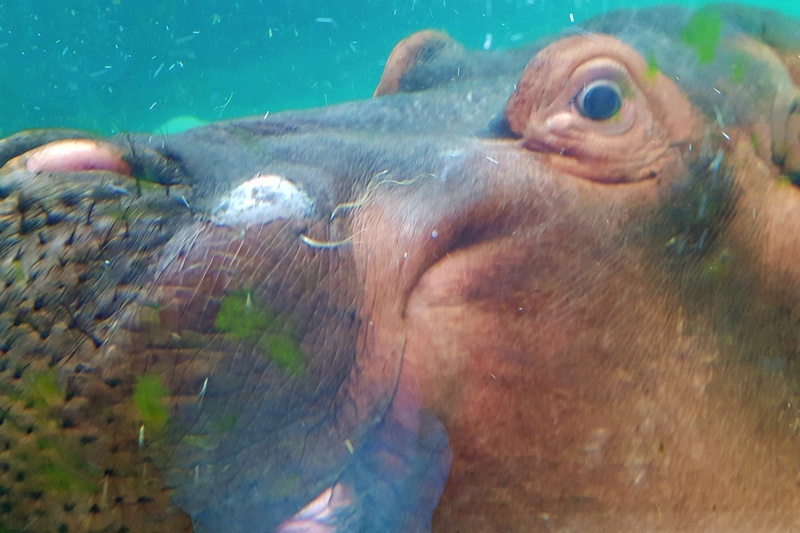 One of the most popular exhibits at the Calgary Zoo -- particularly with the children -- was the hippopotamus that peered at them from his pool on the other side of the glass. Although hippos fall into the category of "so homely they are cute" they are actually pretty dangerous animals. National Geographic has identified them as one of the most aggressive animals on earth. Each year they kill about 500 people in African countries.